Are you a Life Changer? Are you serving in a Department here at New Life? Then this is for YOU! 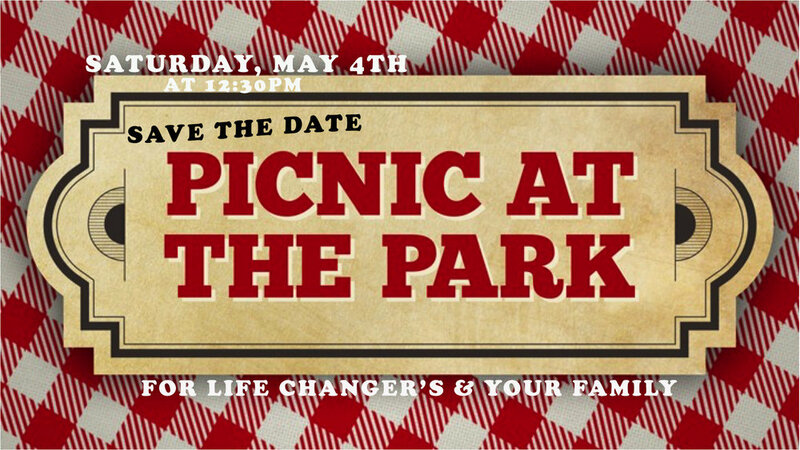 We will be having a Life Changer team gathering for you and your immediate family as we fellowship and have fun Picnicing in the Park. Mark it on their calendars! We have a way for you to sign up for what what yummy item you are bringing. Ask your team leader for details on the potluck.